The next stage of the Penola Bypass, the Penola Northern Bypass Project, has been announced as part of the 2018-19 State Budget. Construction of the Penola Southern Bypass project was completed and open to traffic on 10 April 2015. 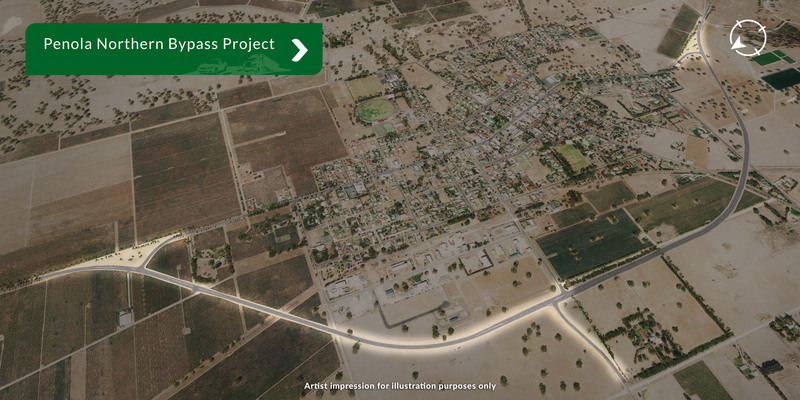 The Penola Bypass is a joint initiative between the South Australian Government and the Wattle Range Council. The South Australian Government allocated $10.5 million for the implementation of the Penola Southern Bypass and the Wattle Range Council contributed around $2.5 million to secure the road corridor. Improve freight efficiencies, which support the Limestone Coast region’s highly productive economy.